Oh I love bazaars and this is something that I'm looking forward to. Hey there shoppers, check this out. 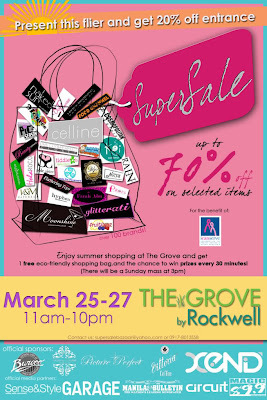 There's a SuperSale Bazaar at the Grove wherein you can avail at upup to 70% discount on selected items. There'll also be a raffle every 30 minutes, plus shoppers can get 1 free eco-friendly bag. 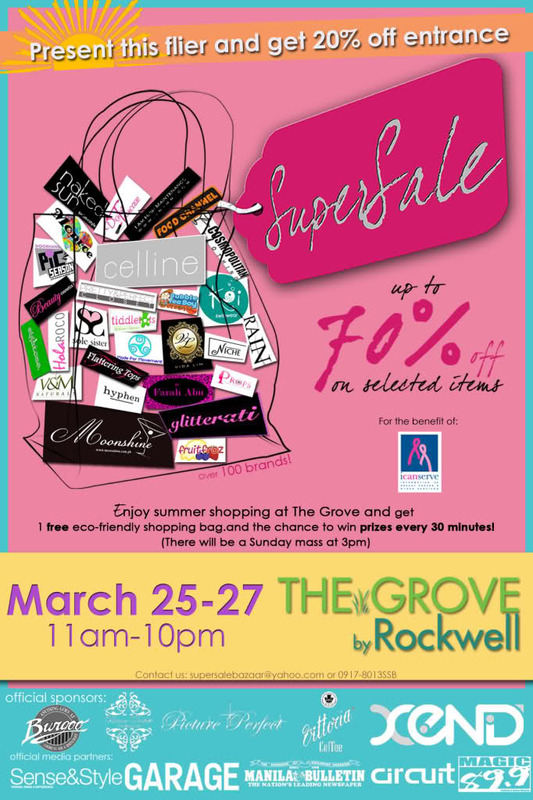 There'll be different brands to shop and don;t fail to print the image above because presenting this flier and you'll get get 20% off on your entrance fee!